Bringing up Charlie: Sunday Supplement: Leap for Joy! Sunday Supplement: Leap for Joy! A package from Leap Frog arrives and, as usual, creates a state of high excitement here at Charlie Towers. If you haven't already heard or if you can't remember, the Leap Frog Leap Pad is quite simply the single greatest toy/game/camera/entertainment capsule we possess. It has the capacity (tried and tested) to render long train or car journeys tolerable, to fire the imagination of my budding photographer/videographer/story-maker as well as to sneakily combine all sorts of educational extras and (rather like disguising the greens on the dinner table) let lots of learning happen while ostensibly only playing. 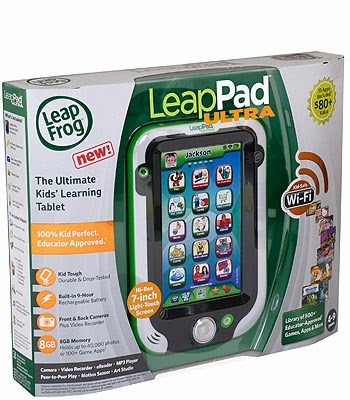 It's wonderful and now the new Leap Pad Ultra it does even more, including LeapSearch - a secure browser that allows children to safely explore the online content they love. Not that Charlie's little sister has been left out as our parcel also contained both a Mr Pencil stylus and a Creativity Cam. Now the camera might be a little advanced for her at just a little shy of her third birthday but I'm sure its time will come. If Charlie allows her to use it, that is. But the pencil is a different matter. Imagine a chunky pencil that can talk! And, of course, help you write. Mr Pencil works with a free IoS app. 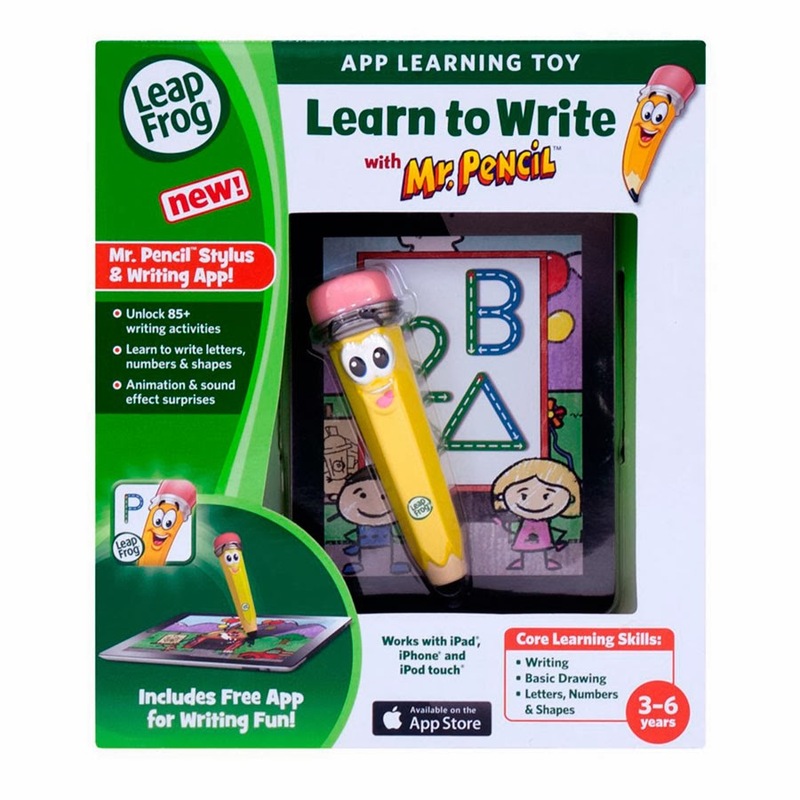 and allows the holder to interact in a variety of ways, all designed to gently nurture those basic writing skills in a fun way. Anyway, if you're stuck for ideas this Christmas an have some little ones to buy for, look no further.